I don't know about you, but we're still enjoying our last month of summer. Our kids don't go back to school this year until after Labor Day. This means we have all of August to continue exploring Southern California's local spots to cool off during summer. Last weekend we took the kids to one of our favorite places, Discovery Cube Los Angeles and to a new destination. 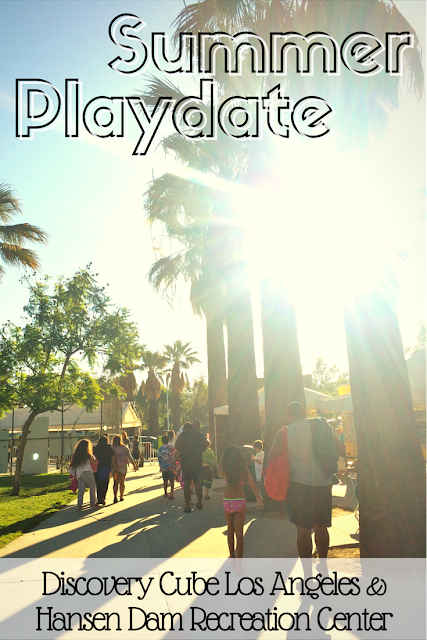 We called our friends and met up for the perfect summer playdate at The Cube and Hansen Dam Recreation Center! The Cube is a great place to 'beat the heat' and hot weather typically continues throughout October in the San Fernando Valley. 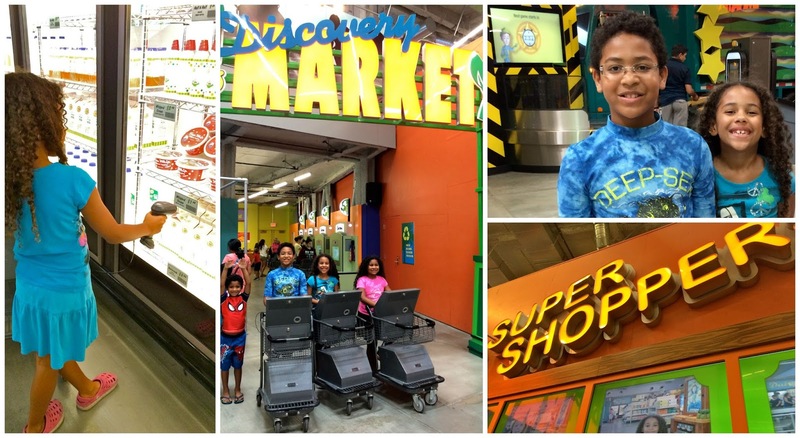 Check out 10 Reasons To Go To Discovery Cube Los Angeles which highlights some of our family favorites! The kids had a blast (as usual) going from exhibit to exhibit of hands-on play. On this particular trip though, they spent most of their time between two main areas. 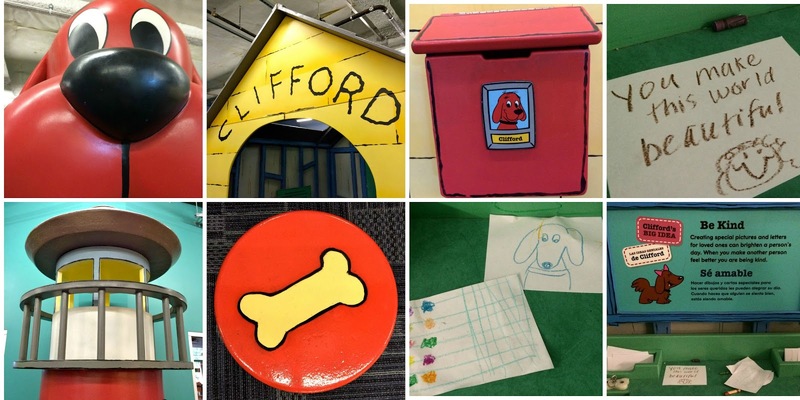 All paws were on deck at Clifford Exhibit (only open until Sept 7, 2015). Even though my daughter is almost 8, she loves going to Birdwell Island and engaging in imaginative play with the Big Red Dog's hometown. As her mom, I love the 10 life lessons that are placed throughout the Early Learners Zone to help remind young children of positive behavior. These are the same guidelines that we have always tried to teach our own kids. The other half of our visit was spent shopping... at Discovery Market learning how to become super shoppers! Once these kids grab a cart, they are off and running down the aisles to make the right healthy food choices and to pick products that are good for our environment. I think their favorite part is the scanner, and the way that it interacts with the computer game on the grocery cart. It's like a video game on wheels - literally. 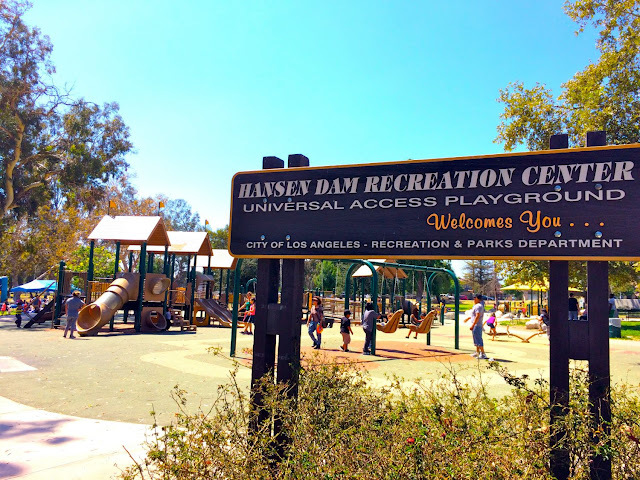 After we spent a few hours at The Cube, the second half of our summer playdate was to be spent at the Hansen Dam Recreation Center, which FYI is right next door making it easy to visit both places in one day. The kids wanted to go to the universal access Playground first. So they got on the swings and ran around the park for awhile until they were all hot and sweaty! 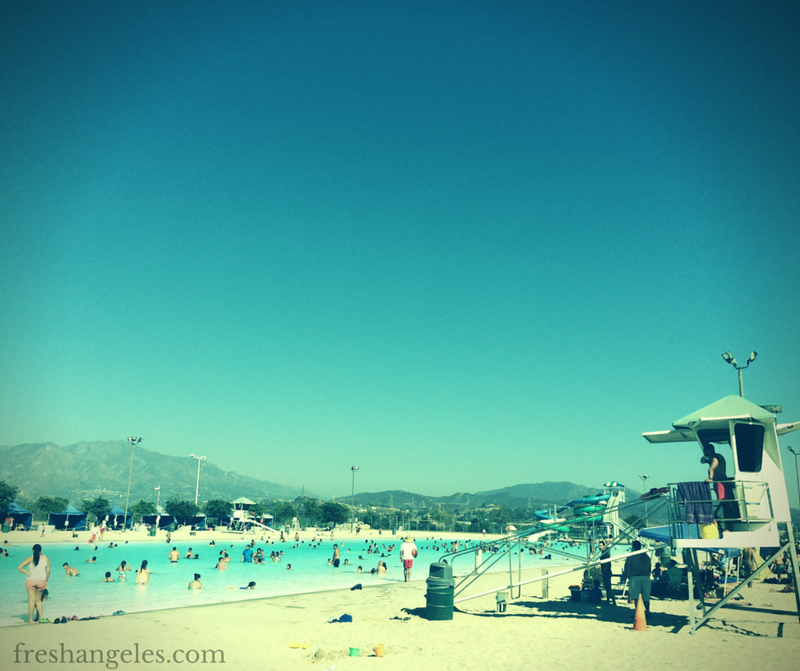 Just in time to hit the Hansen Dam Aquatic Center. Since we've never been I didn't know what to expect, and had no idea how BIG the pool area is. We paid a small fee to get in. 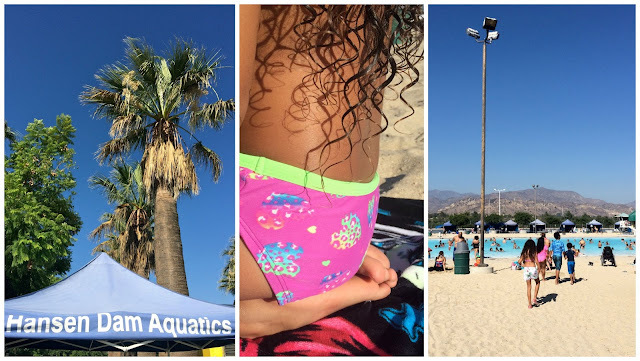 ($3.50 for adults and $1.00 for children) We were pleasantly surprised to find a beach like setting, sand, cabanas (for rent), lifeguards in towers, outdoor showers, and two water slides all encompassing a HUGE swimming area. Fresh Tip: Rent a cabana or bring an umbrella to help shade you and your party from the hot summer sun. It was a great way to spend a day with family and friends. We are already planning a trip back to check out the Lake and to take our youngest daughter on her first fishing trip. Have you been to the Hansen Dam Recreation Area before? What's your families favorite thing to do there? Leave a comment, I'd love to know what you like. Disclosure: This is a compensated post. As part of the Discovery Cube Mom Ambassadors, my family and I get free tickets to The Cube to review and attend events. The thoughts and opinions shared on this blog are 100% fresh and 100% mine.